For anyone who is even thinking of getting married. 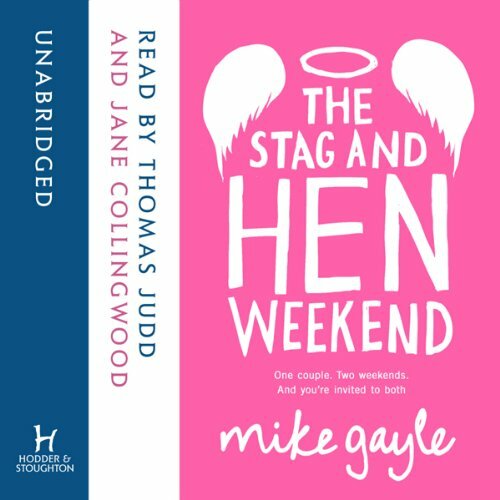 The Stag and Hen Weekend is the story of Phil and Helen, a couple in their 30s about to commit their lives to one another . . . that is of course if they can just manage to get through their respective stag and hen weekends (his: Amsterdam; hers: a country house and day spa in the Peak District) without falling apart. Told in the unique form of two separate stories that have common characters as well as themes and conclusion. Feisty, fun and thought provoking. Ive always loved Mike Gayles work and this book is typical of his work. The story is as usual very easy going, and deals with normal aspects of life (in this case the ups and downs of hen / stag parties). Saying that this book is different to many of his other works, normally his books are very male sided views on relationships etc, but this one seems to get both genders equally, i suspect that he may have had help from female friends. The book starts of on the stag night and approx half way though steps back in time then goes to the hen night. This book though sadly didnt have the humor (very british humor) in the quantities as his other works but was still very enjoyable. The readers of this book were very good, both the readers done very passable accents for the required people. Mike Gayle is in my mind a Male Helen Fielding (Bridget Jones) - if you like her sort of books you will love Mikes books, I just wish his best book Mr Commitment was released in unabridged audio. What made the experience of listening to The Stag and Hen Weekend the most enjoyable? What was one of the most memorable moments of The Stag and Hen Weekend? Have you listened to any of Thomas Judd and Jane Collingwood ’s other performances? How does this one compare? It was a book that covered normal friendships and normal relationships I think everyone will relate and but moved by something in the book.